Have freelancers creating content that you then upload to WordPress yourself. Are working with a shaky internet connection, and can’t stand the thought of losing work if your browser freezes up (and your work doesn’t save). Are looking for a better spell checking tool than WordPress or your connected apps can provide. Have a great solution for distraction-free writing that’s better suited to you than WordPress’s own version of this functionality. A local version of your writing, like on your computer via Microsoft Word, or a cloud computing solution like Google Docs, can help you to avoid these problems while also introducing a host of new issues. Many times, when transferring content from one text editing program to your WordPress editor, a number of annoying formatting issues occur. From a live site standpoint, an extra span or div tag with normal font weight styling isn’t anything that a visitor will notice in terms of the page’s design. That said, all of these unnecessary extra code snippets add up to negatively impact your website’s functionality. Besides being completely unsightly on the back-end, this bulky code can also slow down page load. Slow page load is awful for SEO, and SEO is the purpose behind a lot of content creation efforts. Slow page load also negatively impacts the user experience. The longer a page takes to load, the less likely a person is to stick around and learn more about your company. Additionally, if you realize your formatting mistakes after the fact, going in and deleting all this bulky code is a huge pain to deal with. At this point, you’re probably thinking, “There’s got to be a better way!” when it comes to WordPress content management. And luckily for you, there is. If you’re using Google Docs to draft or collaborate on content creation, it’s unwise to copy and paste directly from your working document to the standard WordPress editor. One formatting workaround for WordPress content management involves downloading your document as a Microsoft Word file, then copy and pasting it to the WordPress editor. Unfortunately, some formatting issues persist even after these steps are taken. Though minor, this method of WordPress content management still results in spacing issues between headings and body content that require additional efforts to fix. Though it will kill existing formatting, another way to get around the worst WordPress formatting issues involve skipping the visual editor and pasting your content directly in the text editor. The issue with this tactic is that you’ll still have formatting issues due to the fact that you’ll have to re-add headings, text decorations, and links. Not exactly ideal! Markdown is a language that was invented for formatting text on the web in 2004, just a year or so after the first version of WordPress software was released. 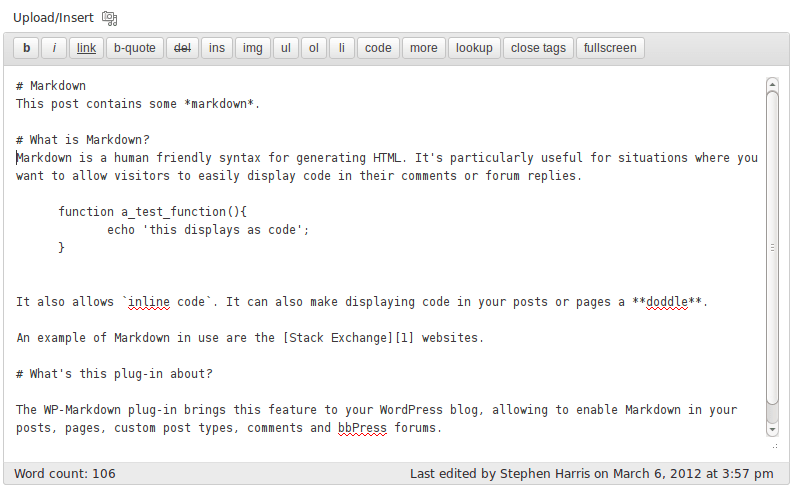 Markdown makes it simple to convert plain text to HTML. Like anything new in life, it can be a bit awkward to use at first but becomes second nature if you use it as part of frequent content creation on WordPress. WordPress.com provides a Markdown quick reference if you’re interested in writing your copy as such to prevent a formatting breakdown between the various text editors and software tools that you use. There’s built-in support for Markdown with the use of the Jetpack plugin, but Blogging.org shares some additional plugin options to consider. Knowing that many content assets get their start off the WordPress editor, developers have prioritized the creation of solutions for bridging the gap between tools, without negatively impacting formatting. The following plugins can help especially when it comes to transferring content from Google Docs to WordPress without any formatting issues. TinyMCE Advanced is a WordPress plugin that fixes a lot of the major issues with the native WordPress editor. Many prefer it due to the ability to keep manually added paragraph tags in the text editor, which WordPress otherwise deletes automatically. TinyMCE Advanced won’t solve all of your WordPress formatting issues, but its use is certainly an improvement over the native WordPress editor. 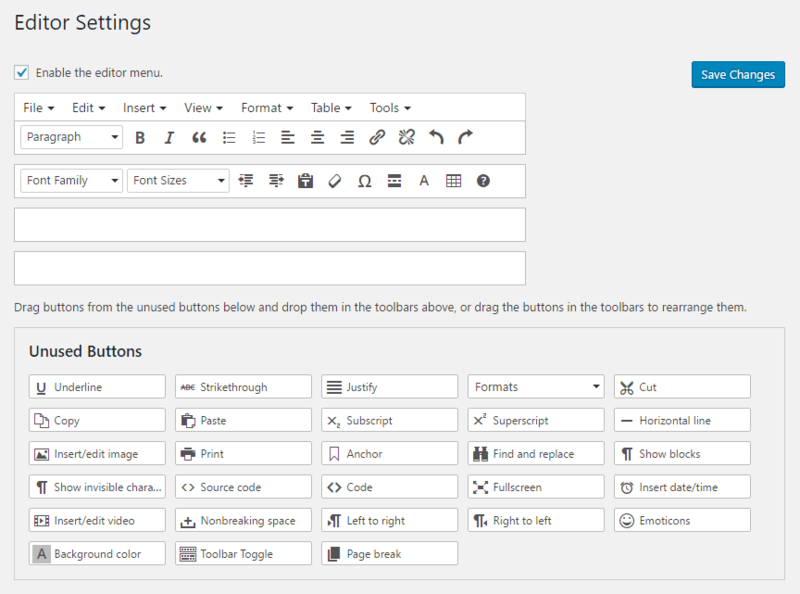 If you do any writing or editing on WordPress, this editor provides additional formatting opportunities without having to break into the code. Wordable allows you to write as you normally would in Google Docs: on your own or as a collaborative effort. Once your article is ready to go, Wordable has a one-click import solution, which includes all formatting and images! This functionality cannot be understated, especially for long articles with a multitude of image assets. Wordable allows you to “earn” free exports, but it’s probably more economical to invest in a paid plan. For $19/month, you get unlimited exports to unlimited WordPress websites. Note: Wordable used to be known as Postable, and once offered a lifetime access deal on AppSumo. AppSumo is an email newsletter that targets entrepreneurs, and they frequently repeat deals, if this sounds interesting to you. Created by Joanna Wiebe of Copy Hackers, Airstory is a bit more of an involved software solution for content creators. In many ways, it works similar to Google Docs, as it provides a way to draft content and collaborate with team members. It also allows team members to create and share “cards” with facts and images that may be relevant for future content assets. 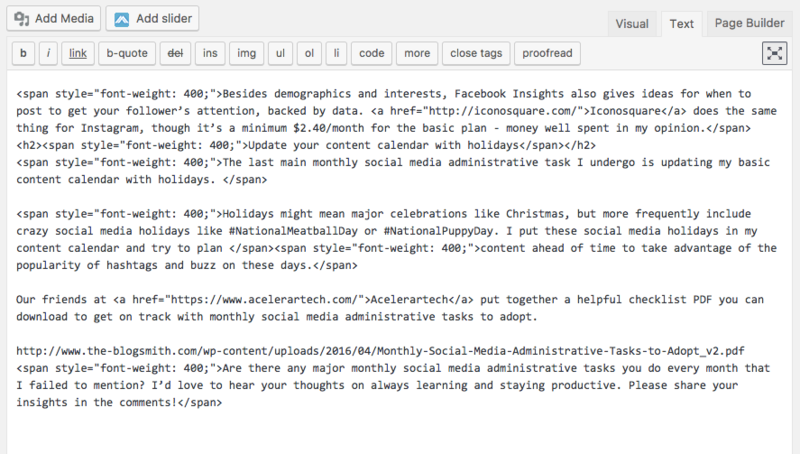 Like Wordable, Airstory’s platform allows you to create content, then publish it straight to WordPress. Unlike Wordable, this is just a feature-not the entire use case for the software. The basic plan starts at $59/month, but like Wordable, low-cost lifetime access has been offered through AppSumo (and could definitely happen again in the future!). The problem with these solutions (if anything) is that they involve installing and activating an additional plugin on your WordPress website to access relevant benefits. If you already have a lot of plugins or think that these plugins may conflict with the ones already on your WordPress website, they’re probably not your ideal WordPress formatting problem solution. It’s hard to justify adding another plugin, which could potentially slow down your entire website, for just this one purpose. If things were too easy, it wouldn’t be any fun (right?). At least, these are the things we tell ourselves when dealing with annoying WordPress formatting issues through the process of WordPress content management. If you have a great tip for fixing common WordPress formatting issues, we’d love to hear from you. Tweet your tips at @Pagely, and we’ll share the best insights! I would love to get your advice and tips on my site InternetTop40.com I constantly have trouble pasteing in content from other authors and other websites. Of course I always leave in all the attributions etc. but half the time a picture or text wont show up on the page but it will show on the edit page and vice a versa, So whats up with that? Hi Maddy, got my blog up and running recently and I’m writing about one article a day. No issues with motivation there, but what is really causing me fits is getting the posts to look the way I want them too when posted. It seems like any formatting I do doesn’t translate over the the way the posts look after publishing, i.e. spacing, font size, etc. I currently drafting in Google docs and uploading directly. Still waiting for that “a-ha” formatting moment.